Jeff Goldblum stole our hearts as Dr. Ian Malcolm in Jurassic Park, of course, and his equally charming scientist in Independence Day. The nervy, fast-talking journalist of The Big Chill; the physical comedy of Earth Girls Are Easy; the unsettling, animalistic energy at the center of The Fly. There’s his voice. There’s his laugh. And then there’s his penchant for jazz piano. 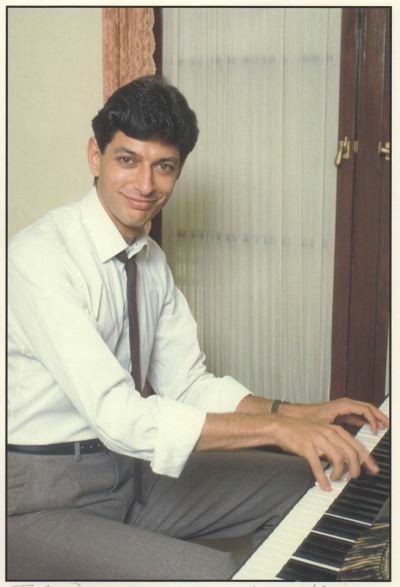 Though it may be one of the less-celebrated tools in his belt, Goldblum’s been playing music as long as he’s been an actor — which explains why SF Sketchfest’s “Tribute to Jeff Goldblum” this Saturday stars his band, the Mildred Snitzer Orchestra, who’ll play tunes between film clips, classic Goldblum-y riffage with the audience, and more. KQED Arts caught up with the actor/musician just before Christmas, when he called from his walk-in closet in LA. He has a little couch in there, you see. KQED Arts: So you played here in SF just a couple months ago with your jazz group, the Mildred Snitzer Orchestra — though this show sounds a little different, being part of Sketchfest and all. 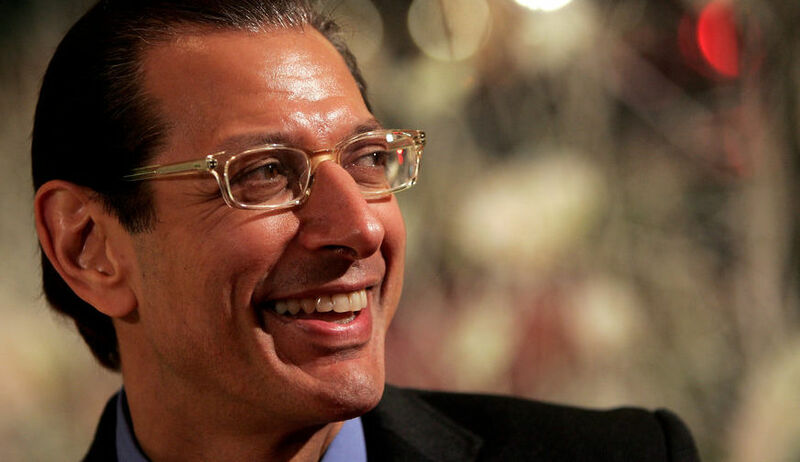 Jeff Goldblum: Yes! I love it up there. We were at Michael Feinstein’s [at the Nikko] last time, and I had a blast. Though, to be honest, I don’t know much about this show — I like to be surprised, so I keep myself from knowing too much about it. Our manager, John Mastro, interfaces with the venue and makes everything sound good and directs the show, which I think will have some film clips in it this time around… the so-called audience gets to decide some things, too. I like not having that control. You’ve played piano since you were young? Yes, my parents gave us all lessons as kids, and I had some facility, but I didn’t know the joys of discipline then. It was a lesson once a week… I wish I could do it again. Even if it’s a broccoli activity, now I know the delicious fruits that can come from that. And then I got it into my head when I was 15 — this was in Pittsburgh, where I grew up — to play in cocktail lounges. I’d just go in and say ‘Oh, I understand you need a pianist.’ And they’d say, ‘I don’t know how you heard that, but sure.’ I got a couple jobs that way. But I already knew it was a side passion, because I wanted to be an actor from the time I was in fifth grade. So I go to New York at 17, 18 to study acting, but I always had a piano. I did a musical or two on Broadway where I’d run into real musicians… and then about 20 years later, doing Buckaroo Bonzai, I met [actor] Peter Weller, and he plays the trumpet, so we’d get together and play.